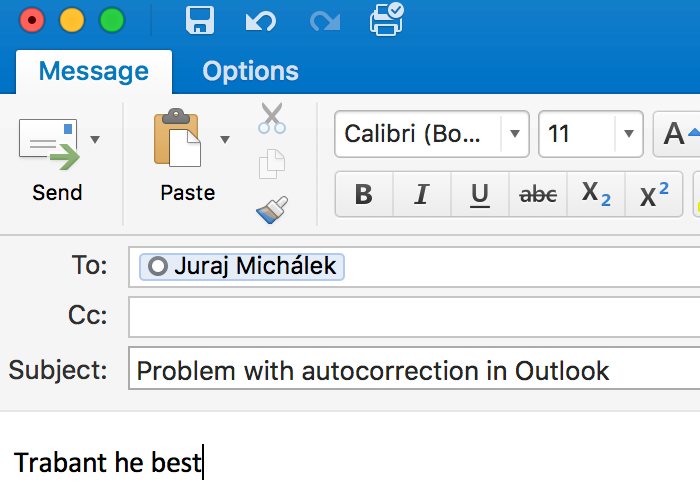 Outlook on macOS sometimes performs autocorrection when user types the text. For an example when user write “Traban the best”. Then the text is corrected to “Trabant he best”. 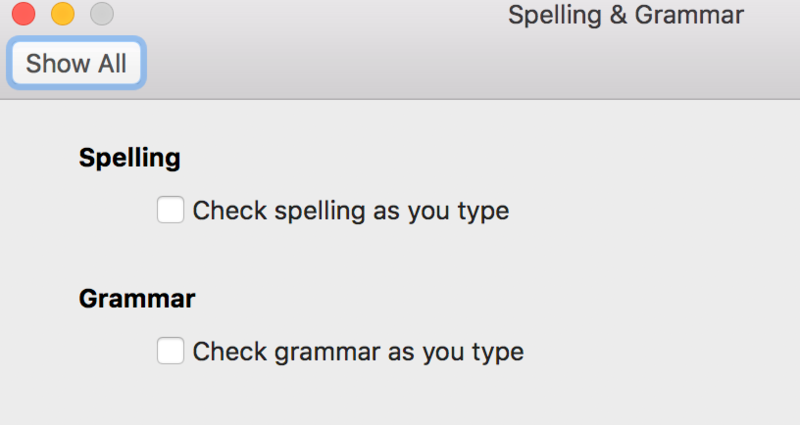 The problem is caused by two features working together: Automatic detection of language and Check spelling as you type. When Outlook encountered an email written in English which contained special characters (e.g. names in Recipient field) it decides to switch the language of the document to other language even though user writes in English. There are two ways how to get rid of this annoying behavior. The first will work for just one email, the second will work for any email. 1. How to turn off autocorrection in one email. When composing message switch the Options tab, click Language icon. Check the first checkbox “Do not check spelling or grammar” and click Ok. This will affect currently opened email. 2. How to turn off autocorrection in all emails. 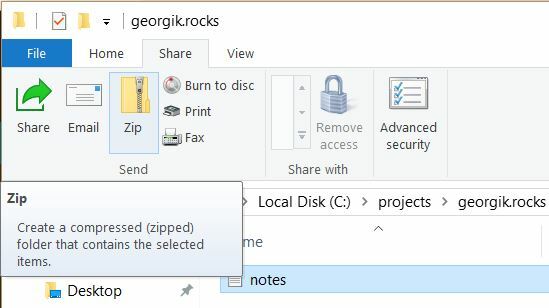 Select menu Outlook, click Preferences. Quit Outlook and start it again. When you have two or more keyboard layouts on macOS (e.g. 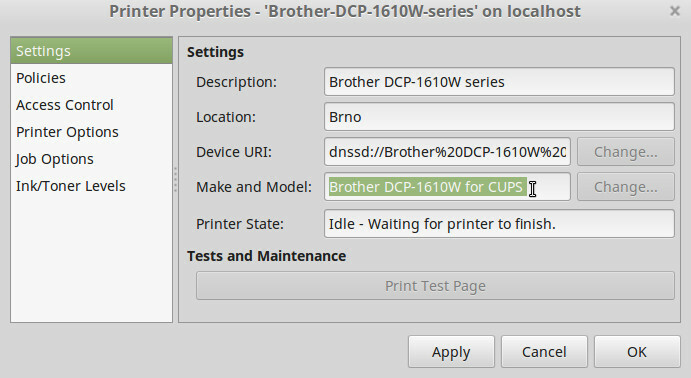 US, Dvorak) then the only way how to switch between them is to click the menu in the upper right corner. It’s not very convenient. On Windows you can use Alt + Shift to switch the layout. The keyboard shortcut to switch between layouts is by default disabled. You have to enable it. 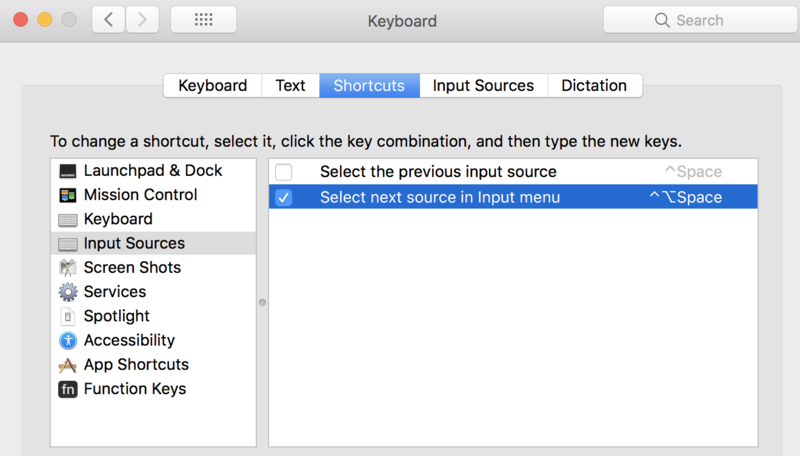 Go to System Preferences, click Keyboard, click tab Shortcuts, click item Input Sources, check Select next source in Input menu. You can also edit the shortcut and use your own.